About Royal Oak Underwriters, Inc.
Royal Oak Underwriters, Inc. has been serving our regional retail agents since 1989. With over 150 years of combined insurance experience, Royal Oak Underwriters’ staff provides our retail insurance partners with invaluable source for coverage knowledge and guidance. Our mission is simple: To provide you with comprehensive solutions fast for all of your clients’ surplus lines insurance needs at the best price. Royal Oak Underwriters President Patti Nunnally is a graduate of the University of Virginia and received her Masters from the University of Richmond. In 1982, Ms. Nunnally started her insurance career as a property underwriter in the standard market at Aetna C&S before eventually moving into the surplus lines industry. She is an active AAMGA member and holds CPCU, CIC and ASLI certifications. Royal Oak Underwriters offers a wide variety of specialty products designed to meet the needs of retail agents in Virginia, Maryland, Washington DC, Pennsylvania, North Carolina and Tennessee. Since 1989 we have been handling hard to place risks in property, general liability, professional liability, commercial auto, ocean and inland marine, and personal lines. Royal Oak Underwriters staff and the ROVER “Quick Quote” system will help you, our retail partners, save time which allows you to increase your business and focus on providing your clients with world-class service. 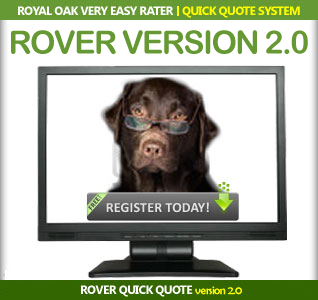 Learn more about our revolutionary “Quick Quote” system and sign up for your free ROVER User ID today! Our friendly, knowledgeable staff is ready to assist you with everything from the smallest risk to the most complicated account. Visit our Contact Us page and connect with the Royal Oak Underwriters specialist that can help you meet your clients surplus lines insurance needs today!